My eye doctor recently told me kale is the new superfood. It’s good for my eyes and I’m thinking it’s good for basically everything else–my hair, my skin, weight control, etc. I recently developed this arm/hand thing (not carpal, ulnal–the nerve that runs through the ring and pinky finger) which I am hoping will improve also. 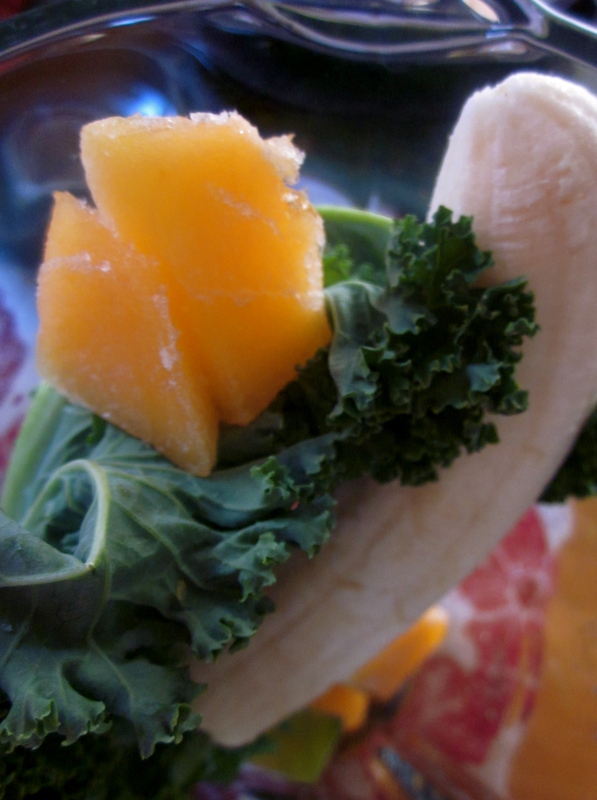 I’ve been eating kale in salad, in omelets, in quesadillas and as of this morning in my morning smoothie. So that may seem a bit odd, but it’s actually pretty good. And it makes me feel like I started my day off right–and that I’m loving and caring for this not-getting-any-younger physical vehicle of mine. 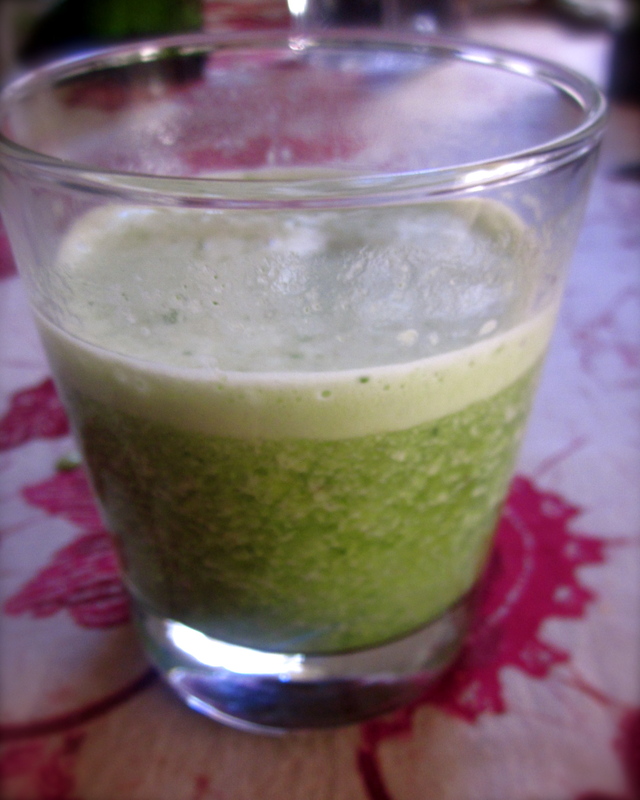 The kale flavor and bits lend a fresh, green taste and isn’t bitter at all. Besides that, you know that anything with banana and milk is going to be tasty. I tossed in some frozen cantaloupe I had as well, but it’s totally optional and also easily substituted with other fruits. Put everything into the blender and mix until smooth. Liam and I had dinner this last Tuesday at Pho Vung Tau, my new favorite Vietnamese place in North Beach/Chinatown. (Dennis and I discovered it together a few weeks back…sigh.) With all that’s been going on in both our lives recently, I think we were both in need of some family time. Over Seafood Chow Mein, Beef and Eggplant Saute and steaming cups of tea, we shared where we are right now. We’re kind of in similar places – both a little lost, both wondering where life will take us next—to a new job, back to Asia or to Peru even. Whatever we do and wherever we end up, I am grateful for the time we have together now. In honor of Liam’s poem, I decided I wanted to find something that inspired similar feelings in me but related to food (My turn to wax gastronomical–ha ha). And after brainstorming for a while, I came up with Mexican Hot Chocolate—creamy, rich and completely comforting but at the same time dark, spicy, earthy and even magical. I’m posting three recipes here. Though I can’t try them all right now, I like how each one varies in ingredients and method. A simpler version using Mexican chocolate—and the one I chose to try. Using a sharp knife, break up the chocolate into smaller pieces. 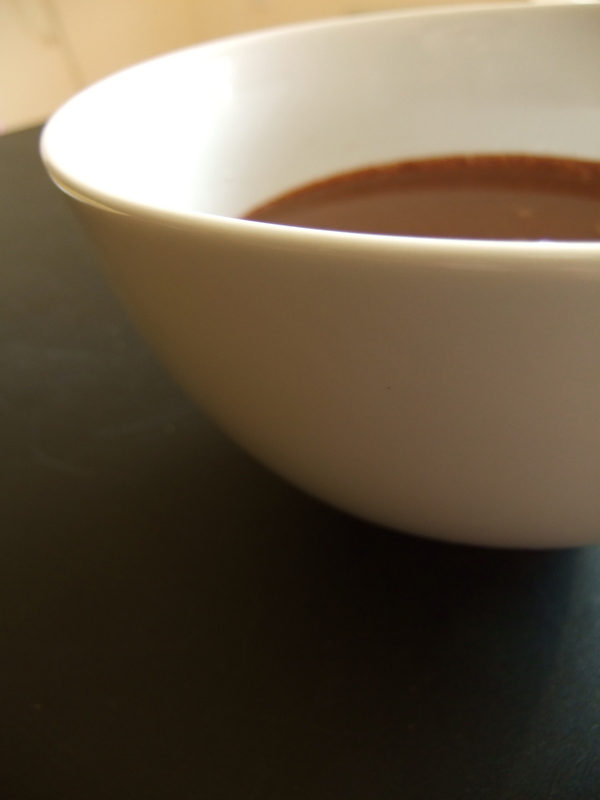 In a saucepan, combine the chopped chocolate, milk, sugar and salt over medium-low flame. Heat and stir until the chocolate is completely melted and the milk is very hot, but not boiling (ca. 10 minutes). 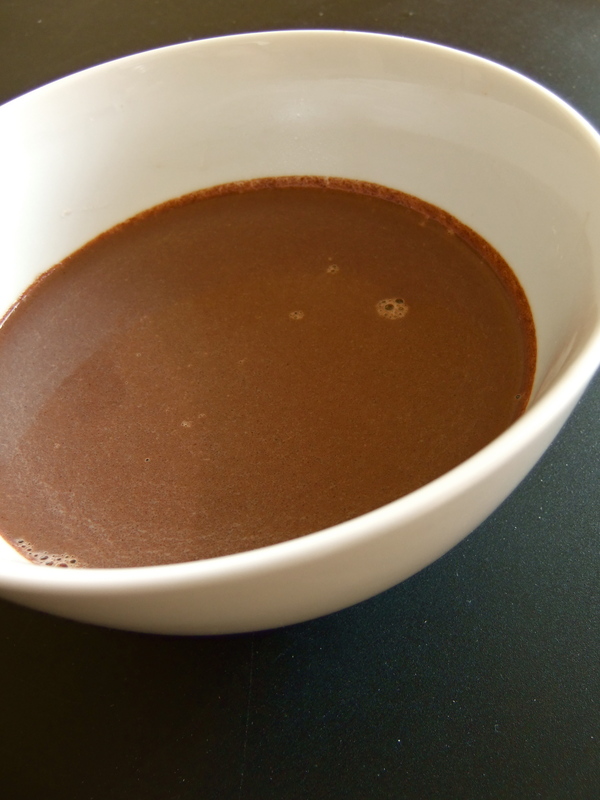 Remove from the heat and froth the chocolate milk with a whisk or molinillo. Divide the hot chocolate among big mugs, top each with a few marshmallows and serve with the cinnamon sticks as stirrers. In a large saucepan over medium heat, add chile pepper to boiling water. Cook until liquid is reduced to 1 cup. Remove chile pepper, strain water and set aside. In a medium saucepan over medium heat, combine cream or milk, vanilla bean and cinnamon stick until bubbles appear around the edge. Reduce the heat to low. Add the chocolate and sugar (or honey). Whisk occasionally until the chocolate is melted and the sugar dissolves. Then, turn off the heat, remove the vanilla bean and cinnamon stick. Next, add the chile-infused water, a little at a time, tasting to make sure the flavor isn’t too strong. 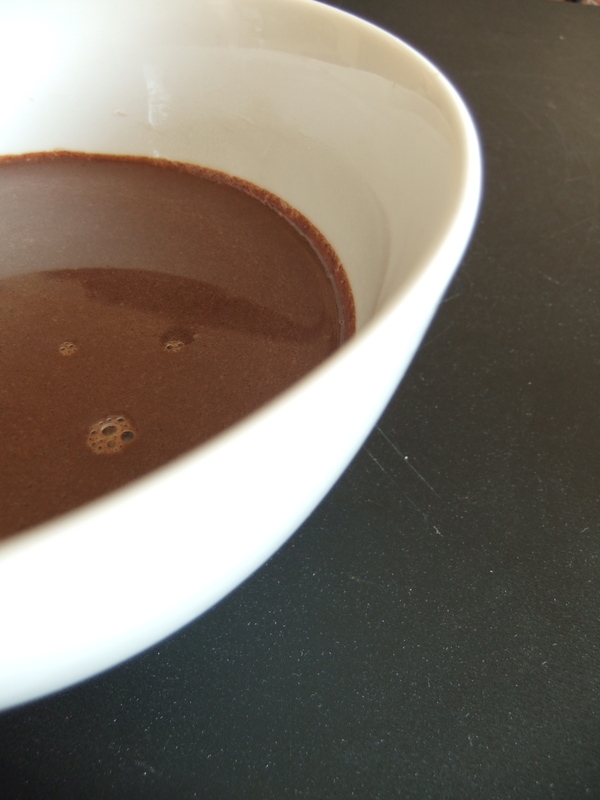 If the chocolate is too thick, dilute it by adding a little more milk. Serve in small cups and top with ground almonds or hazelnut and whipped cream. Most convenient version using ngredients you probably already have at home. In a small saucepan, heat the milk. Add the hot cocoa, the cocoa powder and spices and mix until blended. Serve in mugs and garnish with a dollop of whipped cream.